Located in East Dartmouth, Nova Scotia, the Main Street Business Improvement District (BID) has been one of the most-frequented shopping districts in the Halifax region for more than 50 years. In 2008 the area became a Business Improvement District (BID), one of eight BIDs in the Halifax Regional Municipality (HRM) where private sector dollars create an association to facilitate community and infrastructure development. For more information visit the BID's website by clicking on the photo above. 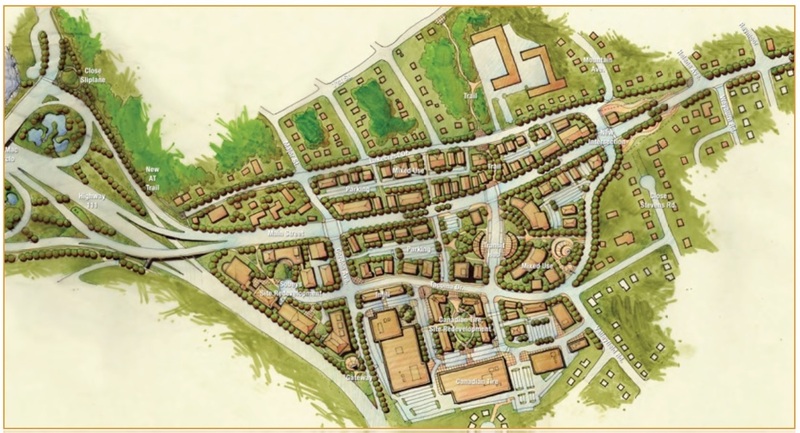 In 2007 Ekistics Planning and Design drafted a long term vision for the Main Street area. HRM council approved this design and work began on new zoning rules for the area. In 2013 these new zoning rules were finalized and approved by council. The new zoning rules will guide the area to a mixed-use town center as development begins to take place. With the new zoning rules in mind the BID is taking action to speed up the process of improving the area in whatever way we can. We're making streetscape improvements, adding to bicycle infrastructure, advocating for the area and more!